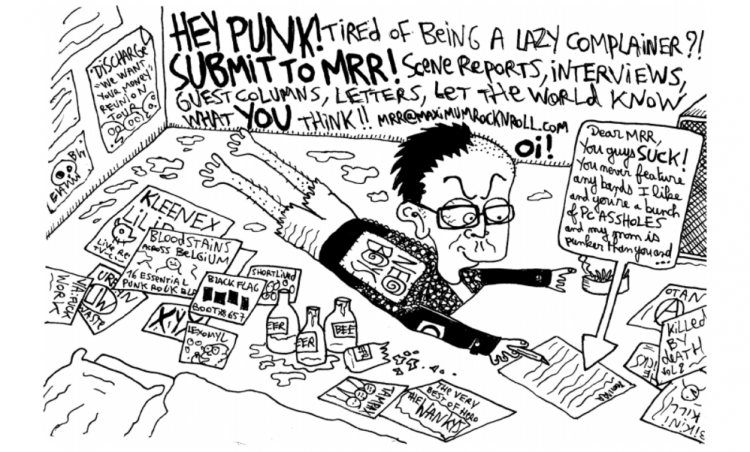 The Punk Health Issue, plus the Top Ten of 2008. The March issue, is our much-anticipated annual year-end top ten edition, in which our many reviewers and contributors discuss the music that mattered the most in 2008! 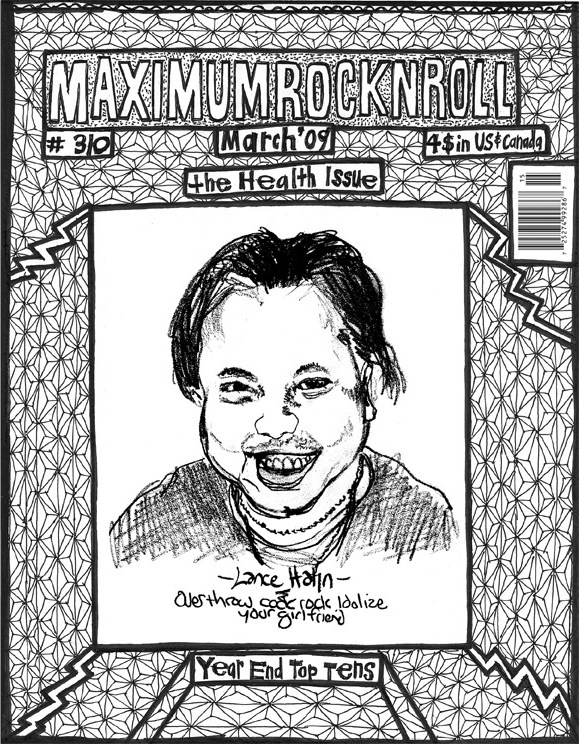 It is also the first part in a series covering the debacle of health care in America, dedicated to the memory of longtime contributor and Bay Area musician Lance Hahn. The cover art, a portrait of Lance, is a collaboration between Tim Kerr of the BIG BOYS, and renowned skate artist Rich Jacobs. 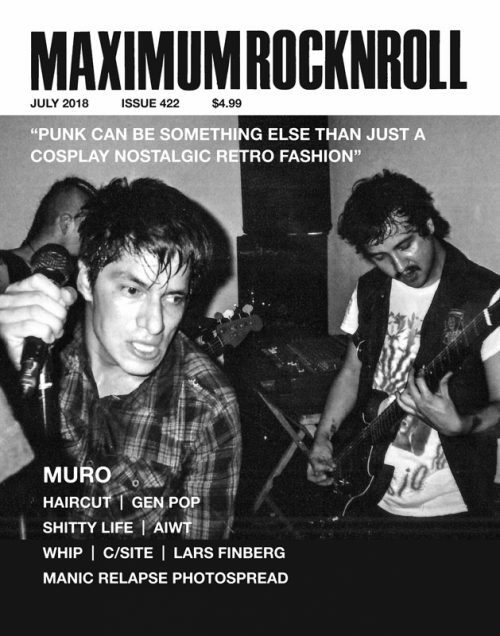 A wide range of punks contributed, on subjects ranging from getting shot in the face, to finding a lump in your breast, and not having any insurance. There are pieces on finding out you have a terminal disease, coping with STDs, using drugs, getting clean, getting a vasectomy, curing a stomach condition through fermented foods, and a piece by Fat Bob of South London’s own HARD SKIN on why crusties should wash! 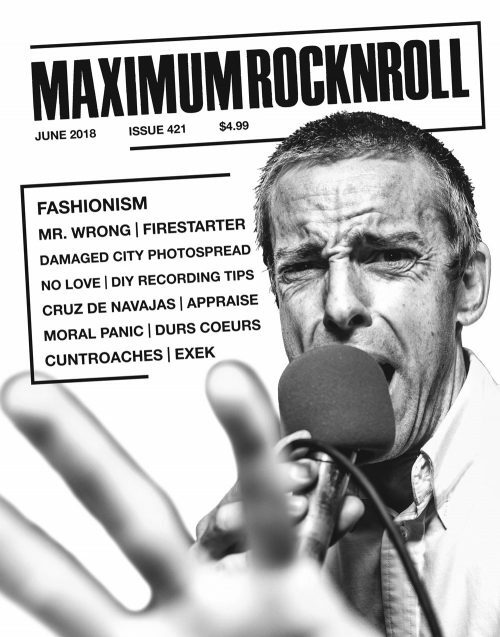 There are pieces by punk doctors, punk nurses and nursing school drop-outs… And all the usual columns and the most extensive review section in punk rock.